This year’s programme will focus on the case study of the Metropolitan city of Athens. How could we understand a metropolitan city that stretches for 412km2 with a density of 7,499/km2 and a population of 3,089,698? In a city like Athens, constructed on great diversities, how could one increase his ability to understand what lies beneath the obvious and away from direct interpretations of historical facts? The research focuses on exploring those tools and methods that could lead us to a better understanding of a complex city and reinforce our decoding abilities in a digital world. For more detail about this series of workshops and lectures please visit the Sound Tectonics website here. 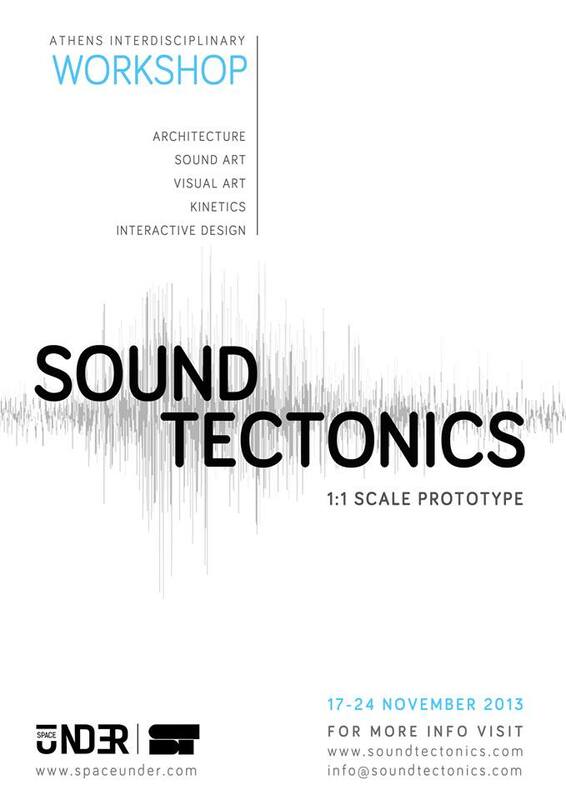 The final prototype was a collaboration between everyone involved on Sound Tectonics. We all had different input and skills that allowed us to build a prototype and reflected our findings from the weeks discussions. I was part of the participants that created various sound files from field recordings made by John Grzinich earlier that week in Athens. Below are three tracks that I edited whilst on the Sound Tectonics workshops. These tracks pushed me to work with different sounds and in collaboration. This week pushed my process in new ways and I was impressed with how much I learnt from all those involved.